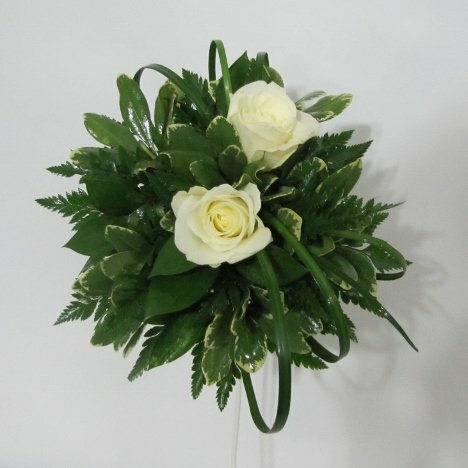 To make bridal bouquet greenery look better, most florists spray the greenery with a leaf polish. Remember greenery is cut from a dusty and dirty field. They are given a rinse with water, but that sometimes leaves a white residue from hard water. 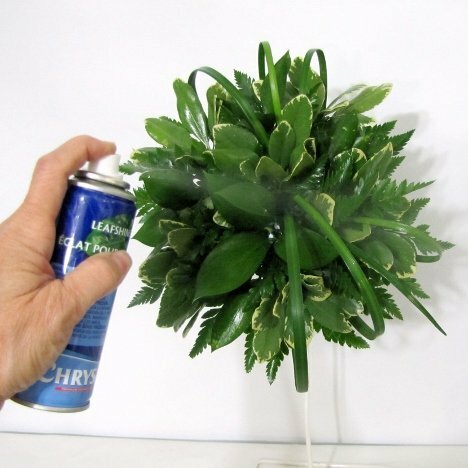 Leafshine is sprayed on greens (and fresh plants) to lock in moisture and seal the leaf, giving it a clean polished look, free of pollen dust and white splotches from hard water deposits. 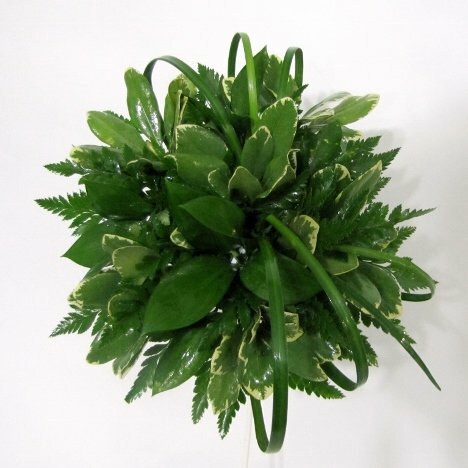 Fresh greens sometimes have a dull or splotchy look when misted with water, due to the mineral deposits left after the water has evaporated. Leafshine prevents this, giving a nice clean look to the greenery. Spray this product on greens only. 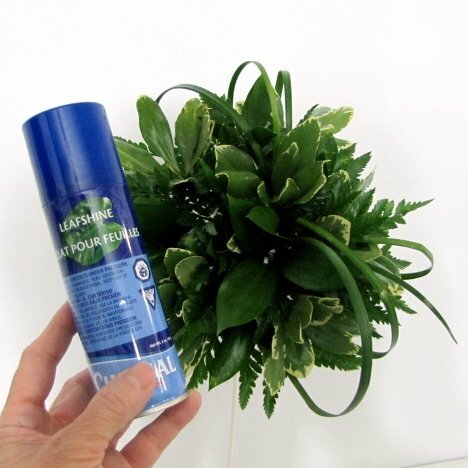 Fresh flowers have a different kind of sealant that slows petal transparency. (I use Finishing Touch or Crowning Glory). 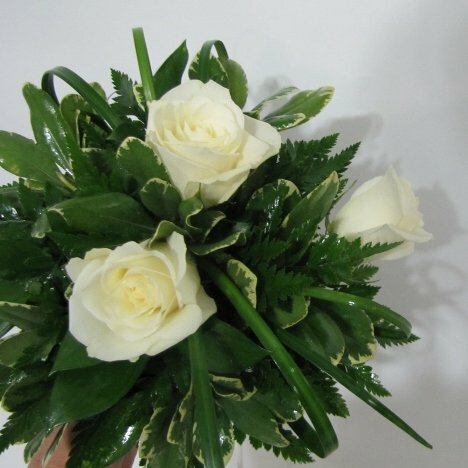 Prepare your roses for use in wedding bouquets by processing your bulk flowers correctly. The key to long flower life is the correct handling of your flowers from the time you receive them until they are transported to the church. This is especially critical for DIY brides, since they usually don't have a large flower cooler available like professionals do. 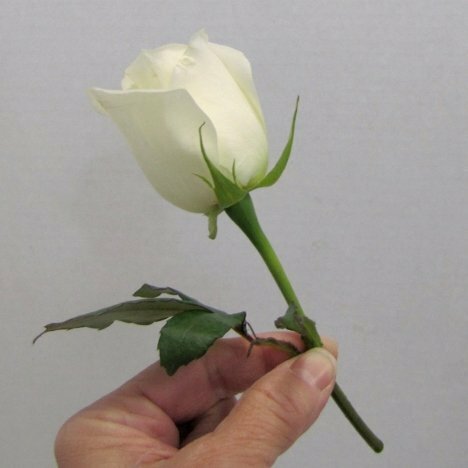 Be sure your stems are clean and free of thorns before inserting into florist foam, or the sharp edges can tear up and break foam apart. 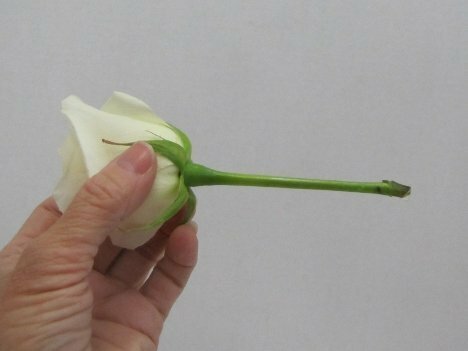 I insert my first rose dead center, pushing the stem gently into the foam with my fingers. 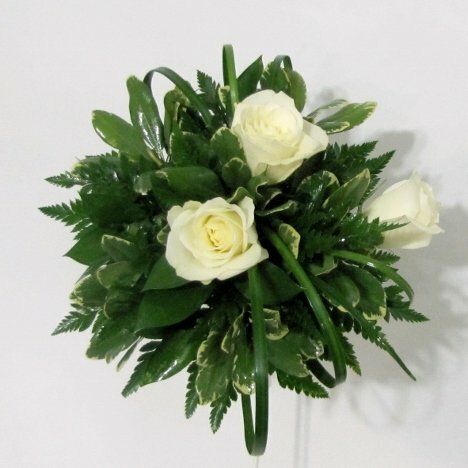 As you place your flowers into the design, the center rose should face straight out, the next ring of roses should begin tipping outward and the outer ring of flowers should be at a complete 90 degree angle ("L" ) to the center flower. 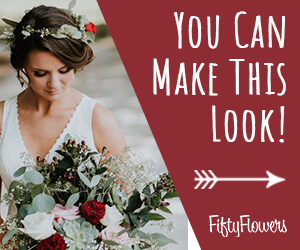 Bouquets should be beautiful from all angles, sides as well as from front. 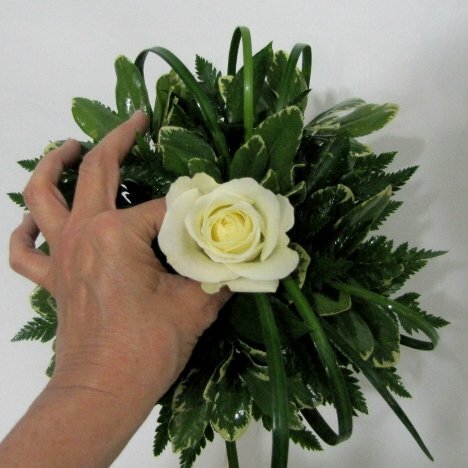 I space my beginning placement of flowers apart, establishing the outer perimeter (and final size) of the bouquet.